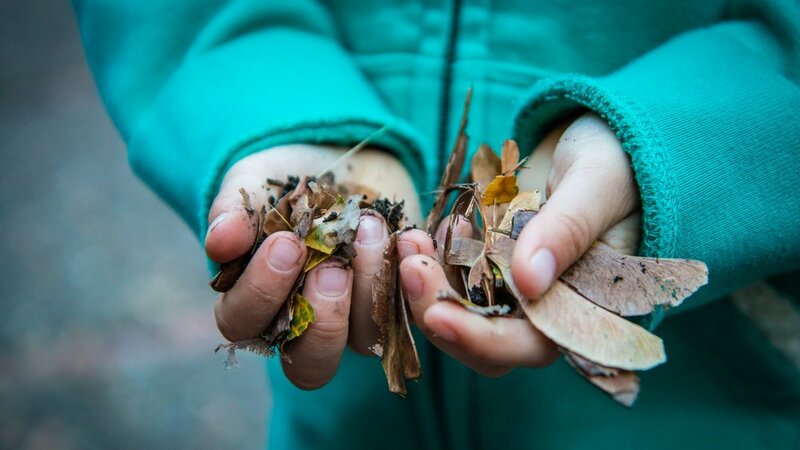 Montessori Nature School values nature and aims to help our children understand their role in supporting nature as it supports us. In all things, we recognize and emphasize the connections between the natural world and ourselves. Our unique classroom design brings nature inside the classroom, from the decor to the learning materials. We incorporate outdoor learning in our visits to neighborhood parks and public spaces. In today's schools, time spent outside is often seen as a break from learning. At MNS, we plan for extensive time in nature for learning and free play, using the great outdoors as the framework for our curriculum. First, extensive educational research demonstrates that nature supports children’s intellectual, emotional, social, physical, and spiritual development; supports creativity and problem solving; improves academic performance; enhances cognitive abilities; increases physical activity; and improves social relationships and self-discipline. Second, current literature (including Richard Louv’s Last Child in the Woods and David Sobel’s Beyond Ecophobia) highlights how children today too often exchange outdoor time for indoors and screen time, leaving less time for outside exploring, playing, and investigating. The programs at MNS is designed to restore and strengthen that connection between children and the nature world. Place-based learning begins with asking questions such as, "Where am I? What is the natural and social history of this place? How does this place fit into the larger world?" To some, these may seem like big questions for such young learners. But at MNS, no question is too big for young children. The local community is viewed as an ecosystem, complete with relationships and processes necessary to support healthy living. Learning takes students outside of the classroom, in the community and natural environment. Students tackle real problems and issues right in their own community. Projects have consequences; students' contributions make a difference to environmental quality and to the well-being of the community. For example, students at MNS might create a map of the local environment. By mapping our school and its surrounding neighborhood, the children create visual representations of systems nested within larger systems that constitute their local "place" in its wholeness. A project like this introduces key ecological and cultural principles, studies the interplay between local society and the environment, supports habitat restoration projects, and invites us to work with local citizens to improve the quality of life in our neighborhood. Place-based education captures students' imaginations, advances environmental stewardship, and promotes civic engagement. These activities involve students as participants in the life of their community.